If you are looking for a story about cheerful youngsters spending a jolly time at boarding school, look elsewhere. Violet, Klaus, and Sunny Baudelaire are intelligent and resourceful children, and you might expect that they would do very well at school. Don’t. For the Baudelaires, school turns out to be another miserable episode in their unlucky lives. Truth be told, within the chapters that make up this dreadful story, the children will face snapping crabs, strict punishments, dripping fungus, comprehensive exams, violin recitals, S.O.R.E., and the metric system. It is my solemn duty to stay up all night researching and writing the history of these three hapless youngsters, but you may be more comfortable getting a good night’s sleep. In that case, you should probably choose some other book. great after being stuck in this loop Snicket has had us in of repetitiveness and obscurities and abuse. The leap is not as far as you would like but you do get a lot more new story before it reverts back to the same old stuff. Again Snicket ruins the ending fairly early on but by now you are just in it for the story, not for the suspense or mystery. Having said that book five is where he decides to add some proper mystery. There are good parts to this story, the siblings finally get some friends their age who try and help them solve all their problems. The Quagmire triplets (of which there are only two it seems) use their own skills to help with these problems that arise. 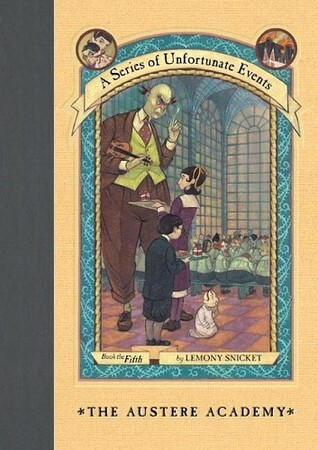 By introducing new characters Snicket finally manages to progress in this saga as some questions begin to be answered. Well, no. More questions are asked and revealed and only snippets of information and clues are revealed which is the beginning of the mystery. With Snicket changing things up a bit it certainly takes these books in a new direction. There is the first sign of a real cliffhanger, not dire, but certainly one that makes you want to read the next in the series. Where before we just hopped from place to place with Olaf and his idiotic schemes, there is a hint of a greater mystery unfolding. 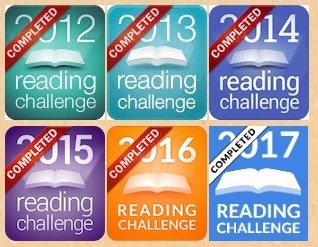 With so many books to go whether this is solved in the next one or dragged out we don’t know. Oh, and for once we can give some kudos to some sensible, albeit dull, adults and Mr Poe tries his best to come through for the children. In a rare moment for him he actually tries. Maybe this is a turning point for the banker.